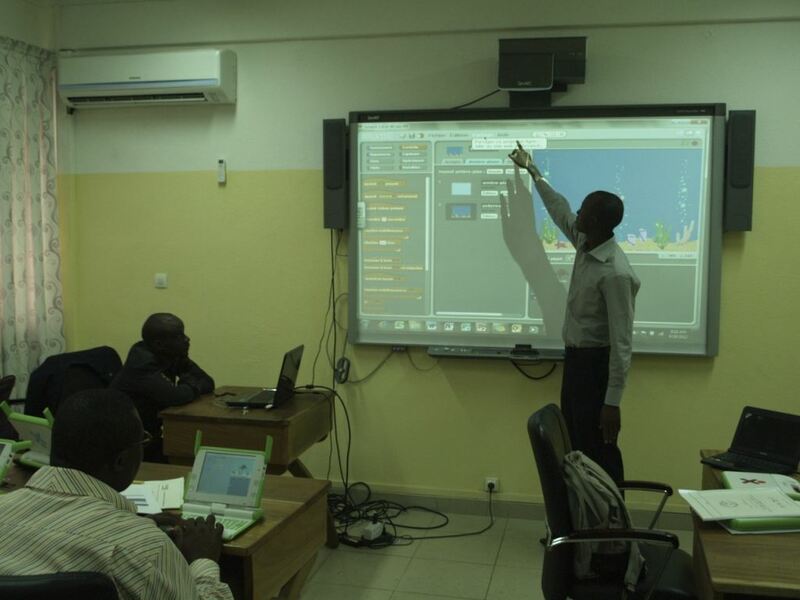 The Ministry of Education of the Republic of Gabon organized a five day One Laptop Per Child training on June 17 to 21, 2013. 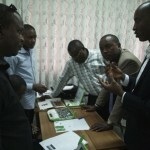 The training was conducted by One Laptop Per Child Association Inc. representatives from its regional office in Kigali. 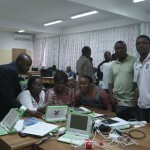 The training was designed to give a comprehensive introduction to OLPC. The training explained the tremendous milestones achieved to date in providing educational opportunities to children around the world. 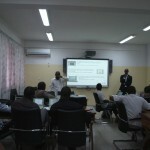 The OLPCA representatives introduced the XO, its preloaded content and the Sugar learning platform to the Ministry’s officials, educators from the Institue Superiere Pedagique, Foramateurs du project E-education, and Engineers who will be involved in the teacher trainings and the deployment in Gabon. The training discussed what has been learned in Rwanda during the past four years. 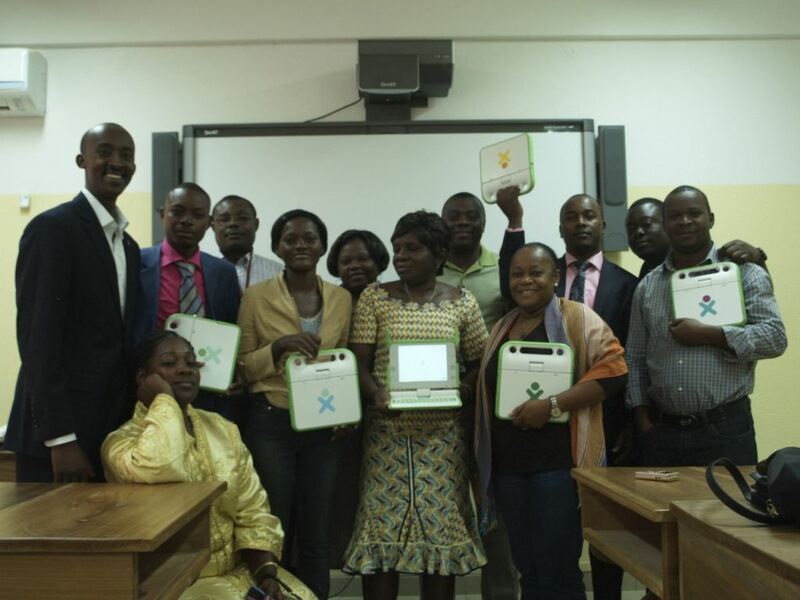 The OLPC team from Rwanda shared its experiences, achievements, challenges and perspectives in its ongoing effort to integrate OLPC technology into the Rwandan education system. The Ministry of Education of Gabon invited friends, associates and colleagues, who will be instrumental in furthering the OLPC cause in Gabon, to attend the training. Invitees included individuals from the Centre Numerique de Libreville, Centre techniques Basil Ondimba and other thought leaders from various organizations. Approximately 22 to 25 individuals attended the training each day. 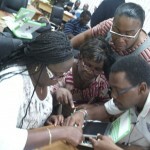 The first day of the training provided a general introduction to OLPC’s background,its mission, and learning philosophy. The team presented OLPC achievements to date. 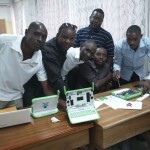 OLPC representatives shared an overview of different OLPC projects worldwide. The OLPC team also discussed the Rwandan experience and the lessons learned over the past four years of the project in Rwanda. The team shared galleries of children’s work from various schools in Rwanda. OLPC representatives examined the impact on learning, classroom dynamics, changes in school attendance, and the overall changes brought by XO into the families and communities in Rwanda. This busy day ended with all attendees exploring preloaded content on XO. Attendees were able to experience the uniqueness of the Sugar learning platform, which allows learners to create, share and collaborate with their peers. On the second day, the training introduced the Sugar learning environment to the representatives of different organizations in attendance. It is anticipated that these organizations will be involved in preparation and implementation of next year’s large teacher trainings and deployments. Participants created different lesson plans integrating curriculum topics. During this process, participants became familiar with the Sugar user interface and the Write, Record, Scratch, Etoys, Social Calc and Portfolio activities. During the third day, OLPC representatives shared the different approaches used in Rwanda to support schools with respect to the learning side of the project. For example, the OLPC team in Rwanda has organized XO users clubs, after school and holiday camps, and XO weekly challenges. 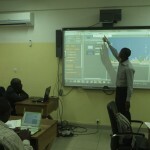 The team has also worked with teachers on developing lesson plans that integrate use of the XO laptop. 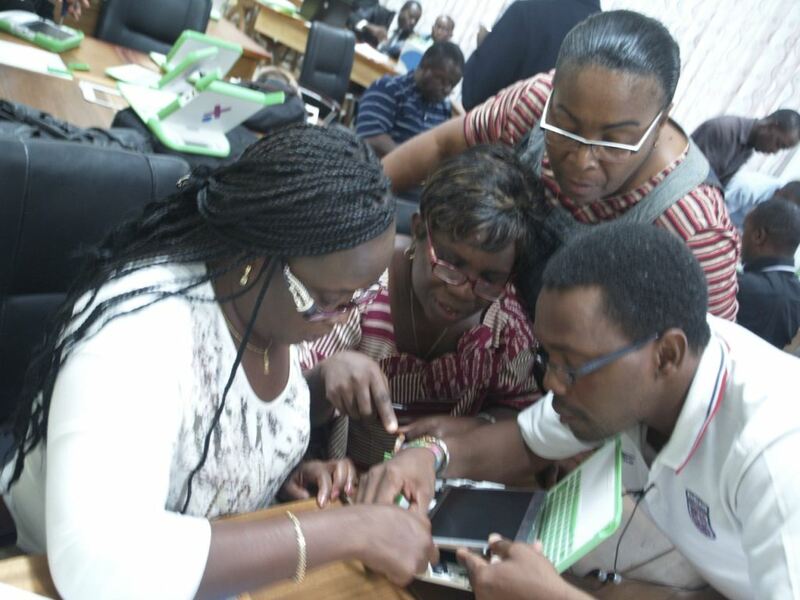 These are ways that teachers in Gabon can further support use of the XO laptops. 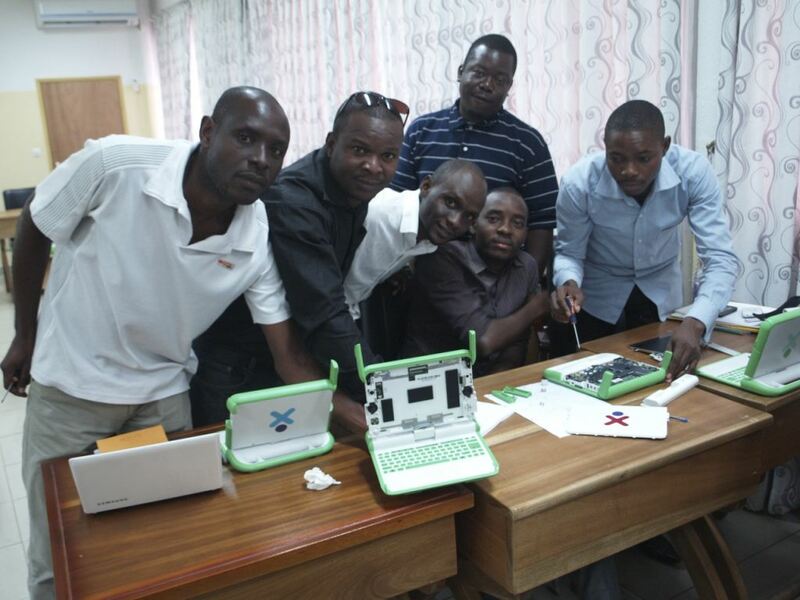 The final two days of the training were focused on the technical aspects of the XO laptops. Participants were introduced to the XO’s hardware and software, the school servers’ technology and troubleshooting tips. 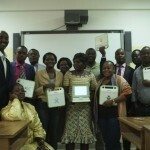 The attendees also assembled and dissembled laptops of the ENSB school in Libreville. 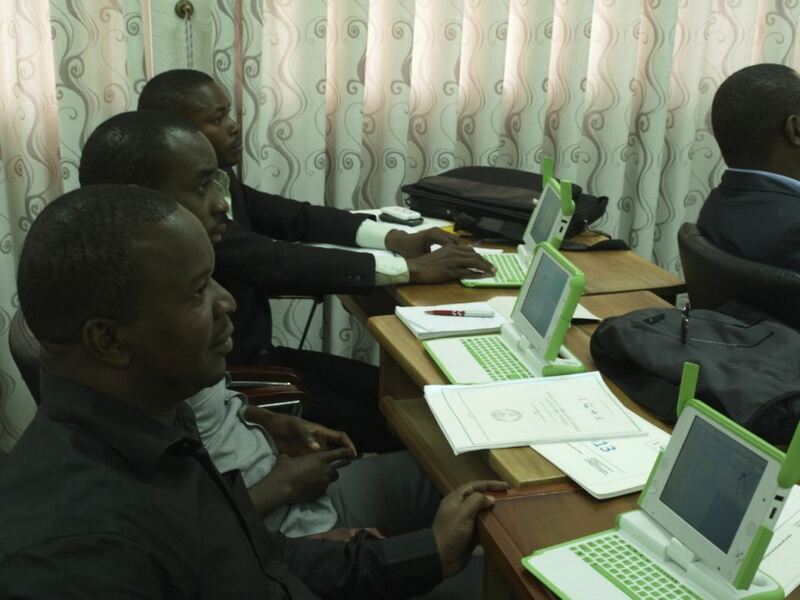 The training was concluded with an overview of the OLPC deployment guide and the project as implemented in Rwanda. The long discussions and debates conducted by the Ministry’s expert Kacandre Bourdelais and OLPC representatives, Desire Rwagaju & Jimmy Intwali, highlighted potential opportunities and threats to a successful implementation of the One Laptop Per Gabonese Child program. Are you familiar with Sugata Mitra’s SOLE project? It works very well in any setting. Michael Fullan also has a book called Stratosphere which takes Mitra’s ideas and makes them richer. Check them out.